Packing four preseason games into an eight-day span was an ideal way to simulate a regular season schedule. Having a week on the back side of that stretch to assess, crunch the numbers, watch film and identify areas for improvement won’t happen once the 2018-19 campaign fully begins, but the Thunder has utilized this time productively. 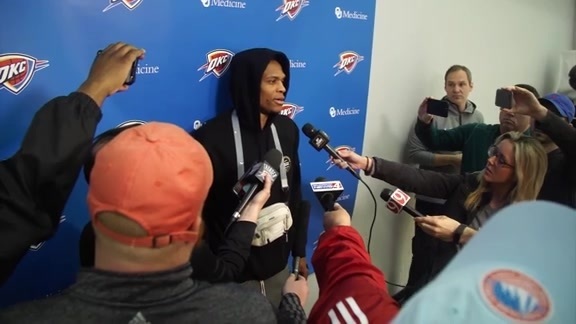 With three practices and a well-earned day off, the Thunder was able to address what went well during training camp and the quartet of games – like an active, physical defense. It also had the chance to work through some areas of improvement in practice, particularly maintaining a consistent, sustained offensive tempo and rhythm. 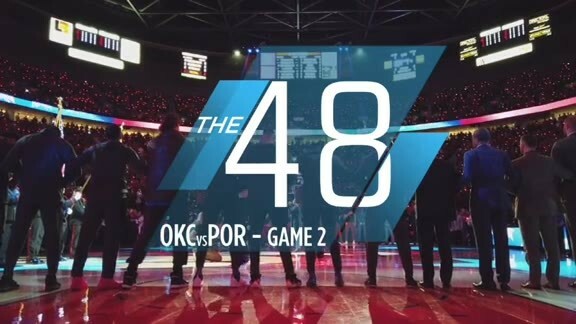 Through its attitude and conviction, the Thunder showed its coach the mental strength and resolve required to adapt on the fly during the regular season. Having the fortitude to get back into the gym every day and grind away at the crucial aspects of game play that impact winning and losing is one thing, but the coaching staff is well aware that they need to be explicit about precisely what they want from the team. In turn, the players have to be able to execute on that vision, and drill it with intention. For this group, that means communicating early and often on defense, every single possession. It means playing with quick, decisive action throughout the entire 24 seconds of a shot clock on offense. And it means not hurting the team with mental mistakes or silly fouls. 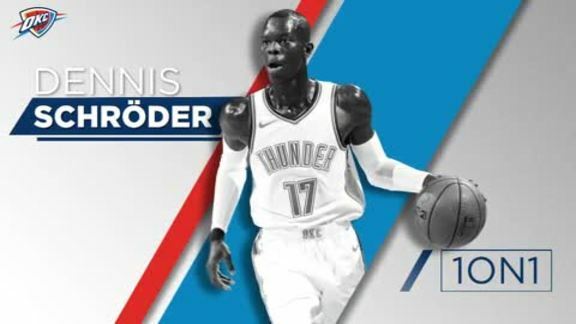 In just two-and-a-half weeks the Thunder certainly doesn’t have the offensive menu or defensive sophistication as it will have months from now, but the core base of who the team wants to be and how it wants to play is installed. - Terrance Ferguson completed the NBA’s concussion protocol and was back in practice on Sunday. Abdel Nader was also a full participant in practice after recovering from knee soreness. Russell Westbrook continues to do more and more in practice and is progressing well. - As a result of the Thunder’s injury situation during training camp, Donovan is still working through who will be in his starting group on Tuesday against the Golden State Warriors, particularly at the shooting guard position. In practice, Donovan has mixed and matched as much as he could to get a sense of where players fit in. “You’re always kind of moving around guys, but for me, some of that is gonna be a little bit random in games just because we haven’t had the luxury of doing that all the time in practice,” Donovan said. - Another benefit of moving players to different positions on the floor in practice is that it simulates the reality of what it takes to play defense in today’s NBA. With so many pick and rolls, off-ball screens and players with similar skill sets and size-height-athleticism profiles, more and more teams are switching on defense to stay in front of the ball. While the Thunder is equipped to do so, there are times when it is vital to keep certain defenders locked onto players from the opposition.